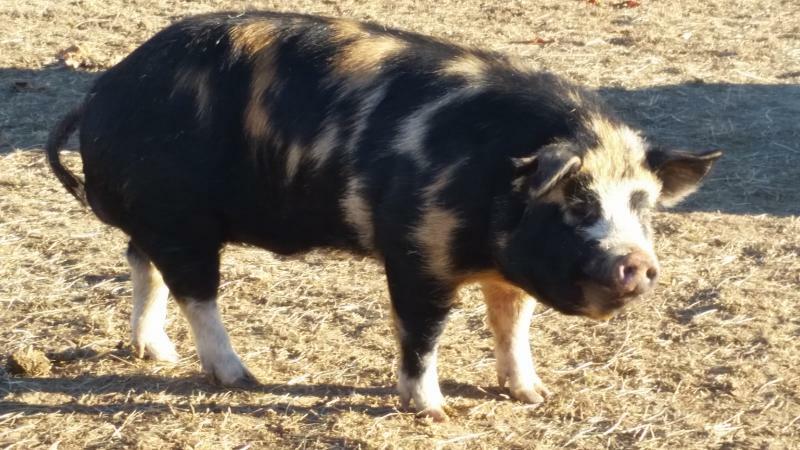 This breed was created in 2007 by the Ferris Family, and are a combination of the original Durock, Old Berkshire and Kunekune pigs. This combination produced a pig that is very friendly, mild mannered, bred to grow and mature fast, while being a true grazing pig. 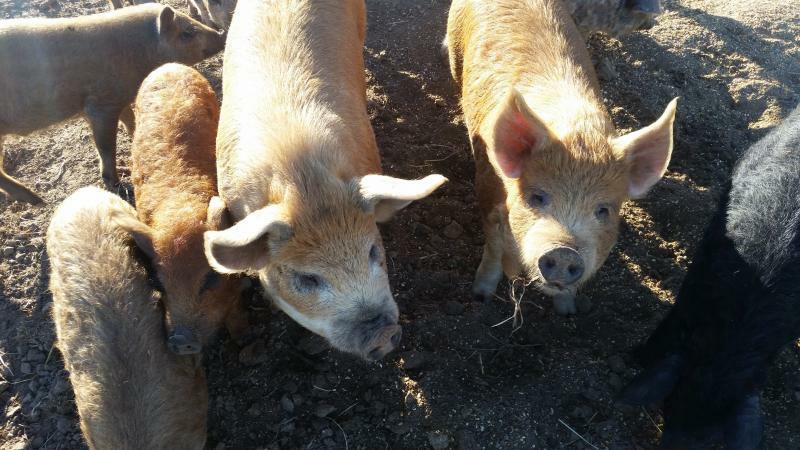 Idaho Pasture Pigs have a short upturned snout, and come in a variety of colors including black, white, ginger, tri-colored, red, or any variation of these colors, solid or spotted. They mature to a weight of 250-350 for sows and 350-450 for boars. 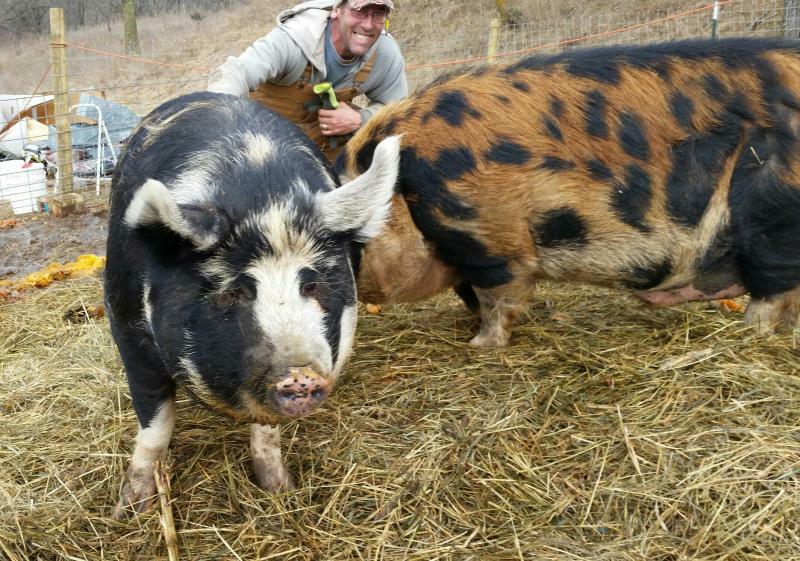 Since these pigs are very friendly and love attention, they are ideal for small, homestead or hobby farms. They are also great for farmers looking to raise pasture pork quickly, on a mixture of grass, hay and grain. Added benefits of the grass produce a marbled meat high in Omega-3 fatty acids and Vitamin E. The pigs get plenty of exercise, which makes for firmer pork products. Amy and Ebenezer, one of our Registered Breeding Pairs of IPP's. We have four breeding pairs, all from different lines to give your herd a genetic boost! Jake & Jessie a couple of our up and coming IPP boars. Jasmine a beautifully colored IPP gilt.